This private tour provides an introduction to Western Canada and includes a journey on one of Rocky Mountaineer’s most popular rail routes. 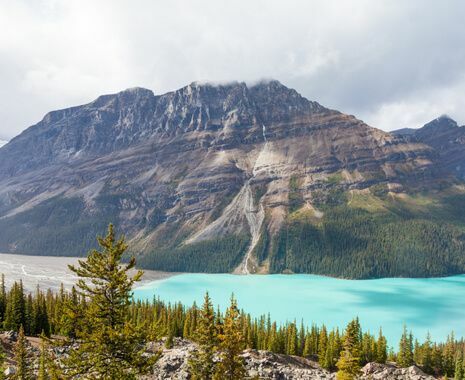 See the varying landscapes of British Columbia and Alberta from the comfort of the train, passing raging rivers, rugged mountains, deep canyons and vast glaciers; you may even spot some of the local wildlife. 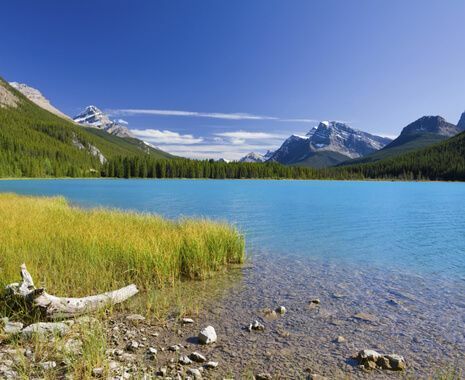 In addition to the scenery, explore the alpine towns of Jasper and Banff. This tour is based in 4-star accommodation except in Kamloops, where the hotel used with the Rocky Mountaineer rail journey should be considered 3-star and simple. Full details will be advised shortly before departure. This tour departs on Tuesdays and Fridays only, due to set train departure days. International flights are not included with this itinerary. Transfers are also not included as taxis are easy, reliable and affordable in Canada. For flight and transfer options and prices, please speak to your Cox & Kings consultant.